>>Inscribase aquí para recibir el boletín en espagñol. >>Inscrivez-vous pour la version en français. >>Subscribe to the English version. Good news from the French Government and their support of dual language in the US . The French government has long played a role in the support of French language programs in the United States. Bénédicte de Montlaur, the cultural counselor of the French Embassy, has spearheaded the creation and development of the French Dual Language Fund, inaugurated by President Emmanuel Macron in 2017, which supports bilingual programs in public schools in the United States. "The necessity of foreign-language education could not be clearer right now. The future in America, and everywhere, is multilingual. And so is the present." - Bénédicte de Montlaur. We agree with this profound statement, and we are grateful to the French government for their continued support . Please come check the lost and found. There are dozens of coats, sweatshirts, lunchboxes, water bottles, etc. that we would hate to see going to waste. The lost and found is currently located in the Kindergarten hallway. Recently the number of toys and Pokemon cards being brought to school has increased significantly. As the school year draws to a close, teachers are having greater difficulty keeping students focused and having toys and cards at school further distracts students. Toys and cards can be disruptive in the classroom and cause verbal and physical confrontations at recess. 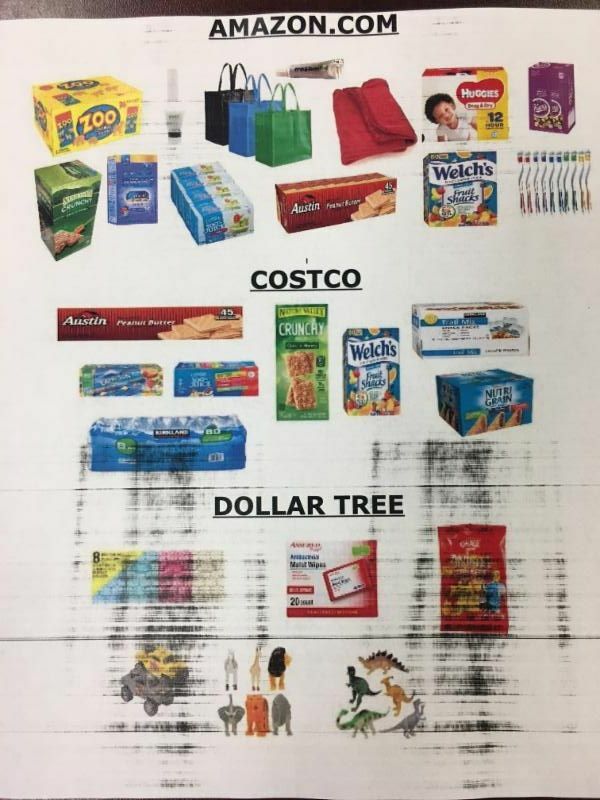 Please help us by monitoring what your child brings to school each day. 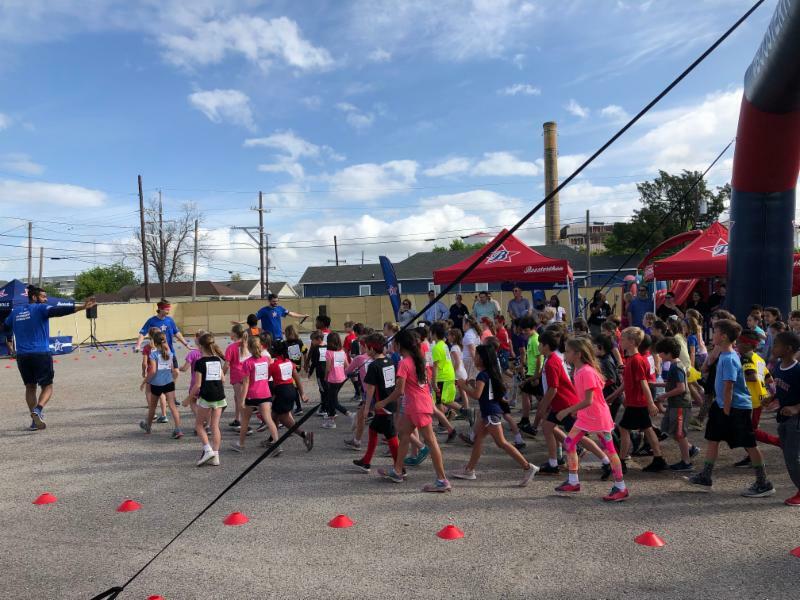 A big shout-out to all the students, parents, friends and family who helped us to nearly double our goal for campus wellness initiatives with this fun run program. It was super positive and fun for students and the school as a whole! Thanks to La Liaison and the Boosterthon team as well for bringing us this experience! 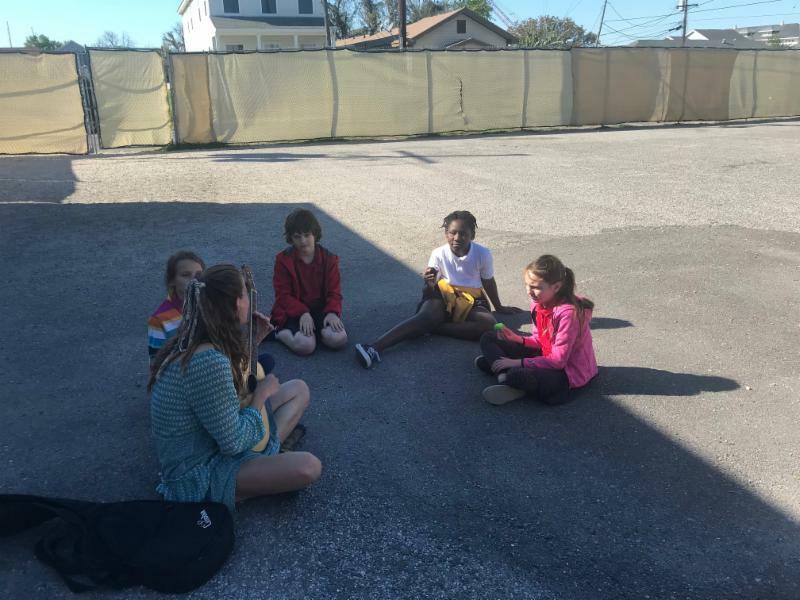 There will be a wide variety of field trips in April to allow students enrichment opportunities when they are not actively testing and to maintain the school building as a secure testing environment for those who are testing. Please be on the lookout for more information from teachers. Hiring and scheduling is underway for next year! 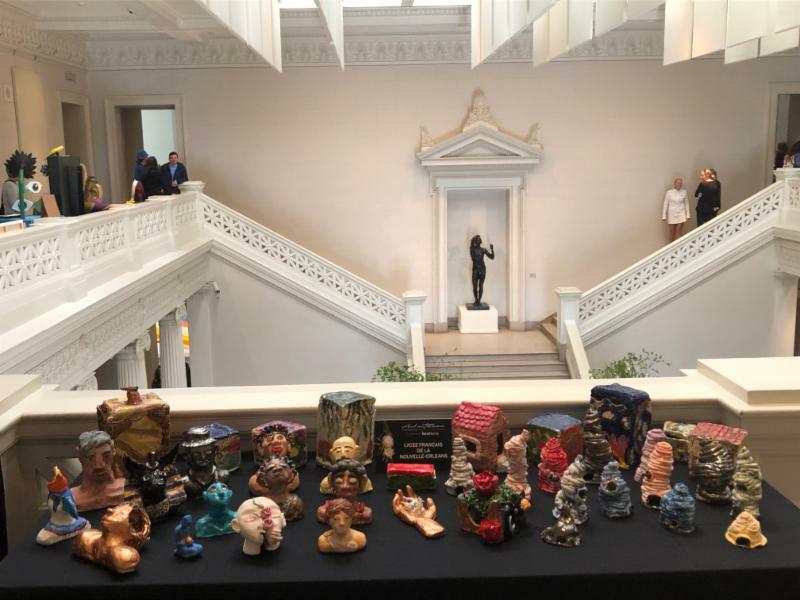 Talent Visual Art - Lycée Student work in 'Art in Bloom"
Lycée students in the Talent Visual Art Program will have artwork displayed at the New Orleans Museum of Art March 28th-March 31st during their annual Spring event called Art In Bloom . Art in Bloom is an annual Spring event for the museum. The theme is "Illuminations: Looking Within and Beyond". Don’t look at those Mardi Gras beads any longer, recycle them! We have ARC recycling bins at both campuses; let’s fill them up! Coat and Supplies Drive: Start your spring cleaning and donate old supplies to Lycee! WHEN: April 1 until you clear out your house! WHERE: Both campuses will have labeled boxes near the front offices where you can drop your items. WHAT: Old coats and items on the attachment. Questions? Email Courtney Spring directly at cspring@lfno.org . At Bonjour NOLA Summer Camp we encourage campers to practice their French over the summer with the Prix d’Effort. Each week, a camper from each group is awarded a prize for making their best effort to use their French. Rejoignez-nous cet été? 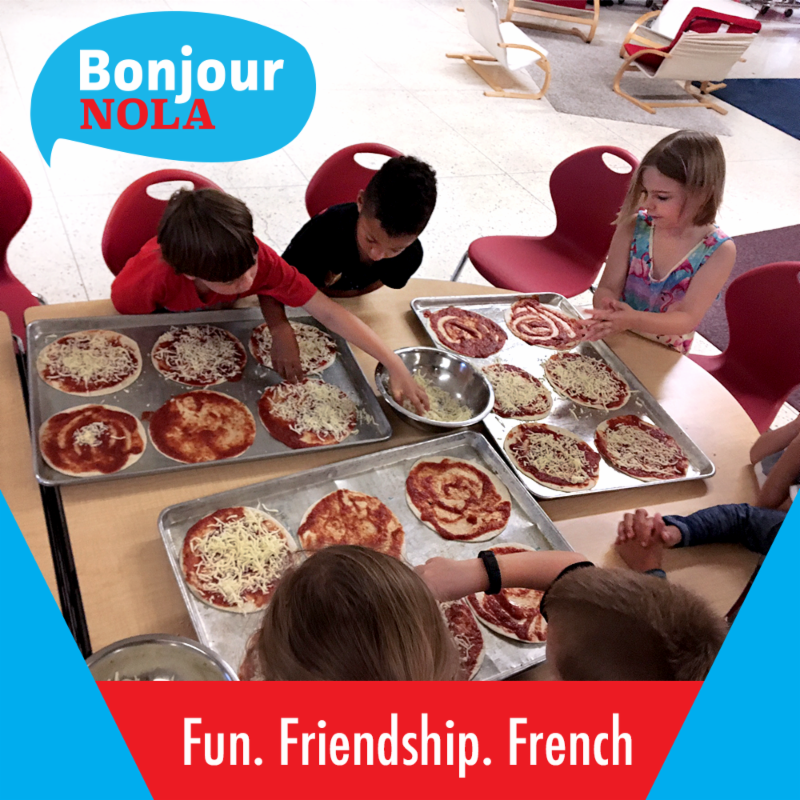 Bonjour NOLA is geared towards children attending – or entering – a French immersion school. Our camp serves children entering Pre-K 4 (4 years old by July 1st) through 5th grade. (Exploring the World Around Us) will run July 8th-July 26th. Registration will open Friday, March 1st at lfno.campbrainregistration.com . For more information, please visit https://www.lfno.org/bonjour-nola/ or email bonjournola@lfno.org . You can also follow us on Facebook here ! 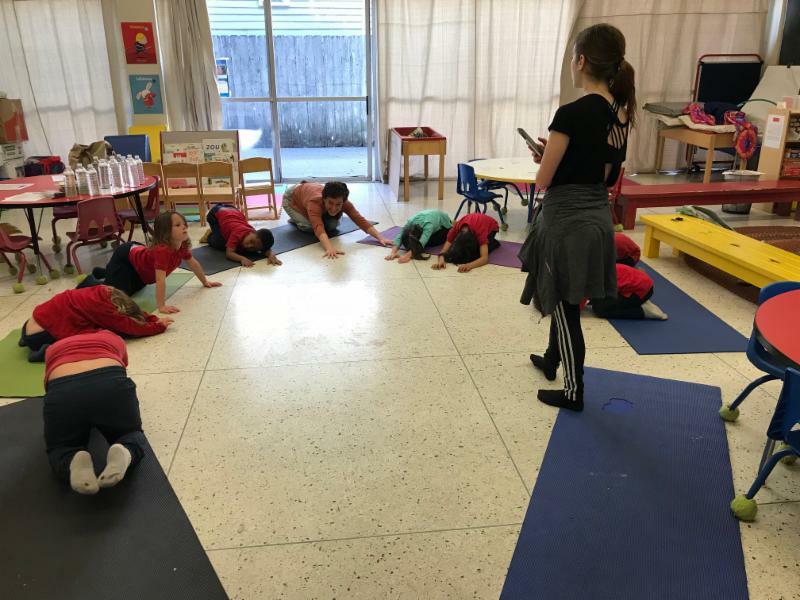 PATTON: PreK and Kinder students unwind and get a good stretch in downward dog pose in the Patton PreK/K Yoga activity. JOHNSON: Students in Johnson After Care enjoy singing along with Madame Sélène on the playground. 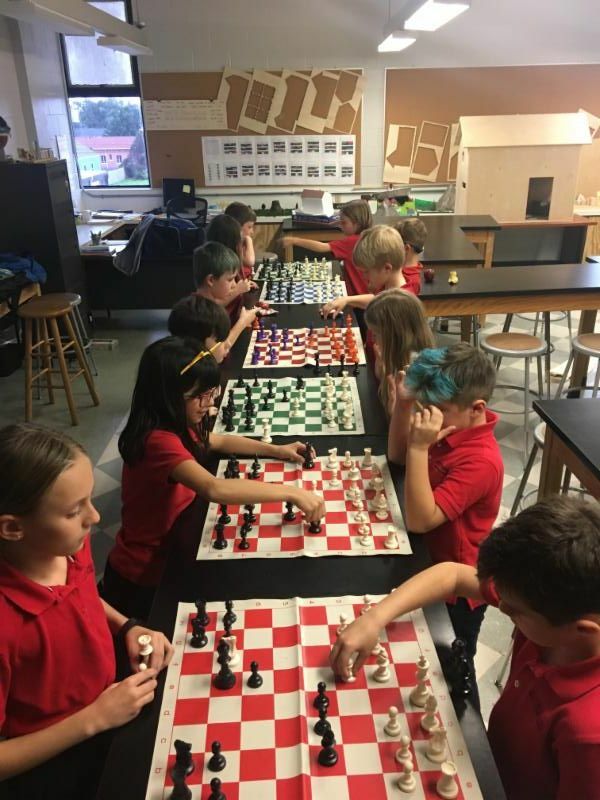 Good luck to our LFNO Chess Teams who will be participating in the Louisiana Scholastic Championship this Saturday! Teams have worked very hard and have already had great successes in tournaments this year. The event will take place at Kehoe-France School, 720 Elise Ave Metairie, LA 70003, starting at 10am. WHAT: An epic battle between Les Bleus and Les Pères des Loups-Garoux! Come watch what is sure to be an exciting and entertaining match. The next Dads Club social gathering will be on Wednesday, April 3rd at the Rendon Inn . The Rendon Inn will have Dads Club Drink Specials (really) and Li'l Dizzy's will be serving food. Dads Club will open a tab and we will plan our annual Bingo Night fundraiser, including making a call out for prize donations for the event. The Rendon Inn is located at 4501 Eve Street in Broadmoor. Rally your family to enjoy 5 rounds of bingo with school celebrity bingo callers, pizza, root beer floats, and snowballs. Bingo prizes include gift certificates, power tools, bourbon, and for the grand prize winner, a free Bonjour NOLA summer camp session. Everything is included in the price of admission, which is $10 per ticket. Additional bingo cards are $5 each. Tickets are on sale now at https://squareup.com/market/lfno-dads-club . A fun event, enjoy mingling with a glass of something and refreshments. Great time to shop for a mother's day gift too! 2-hour shopping event for Lycée Français community. 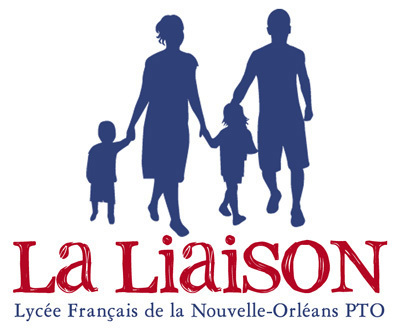 20% of the event revenue will be donated to La Liaison. For those that can’t make it in to the store to shop, but want to support, they can do so by calling the store at (504) 613-4227 the day of the event and placing a phone order. They will waive shipping fees for anyone calling to support our event. Web orders do not count. April 14: Give Back with Kendra Scott. May 6-10: Teacher Appreciation week. May 11: Lycée City Park Night. April 24: Last PTO General Meeting (and last day PTO board nominations will be accepted). May 29: End of the year picnic. This is NOT a complete list of school events.